The duo who captivated millions of readers in The Girl with the Dragon Tattoo, The Girl Who Played with Fire, and The Girl Who Kicked the Hornet’s Nest join forces again in this adrenaline-charged, uniquely of-the-moment thriller. 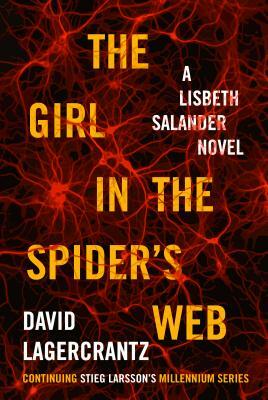 DAVID LAGERCRANTZ is an acclaimed Swedish journalist and author. He has worked as a crime reporter for Expressen, and has written several novels, including the forthcoming Fall of Man in Wilmslow. He worked with international soccer star Zlatan Ibrahimović on his memoir, I Am Zlatan Ibrahimović, which was short-listed for the William Hill Sports Book of the Year award and was nominated for the August Prize in Sweden.